Valcan – our sibling company in the UK – has willingly suspended sales of Vitracore G2 in the UK after an unspecified and yet unverified test by a government department claimed a variance in the tested panel’s constituents may affect its UK certification. The key allegation made by the Ministry of Housing, Communities and Local Government (MHCLG) is that the adhesive content of the panel may exceed that advised by the manufacturer. As we seek further clarification from the UK, Fairview Architectural once again wish to confirm the verifiable and officially recognized testing results that Vitracore G2 has achieved at leading independent testing agencies in Australia, Exova Warringtonfire and CSIRO. AS1530.1 and AS1530.3 and remains Australia’s leading deemed-to-satisfy aluminium panel. AS5113 full scale test, Exova Warringtonfire, November 2017 – passing 6 out of 7 testing criteria including flame spread/fire performance. Testing results and fire engineering reports available on request. 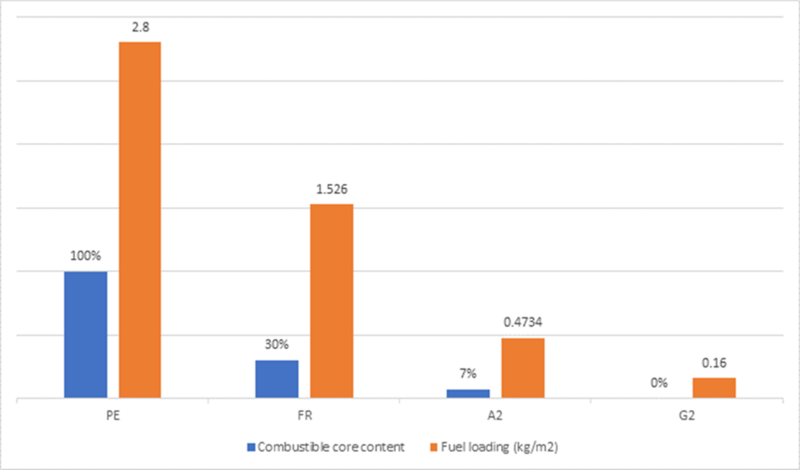 To provide a visual aid, the chart below shows a comparison of the combustible core content in each of the four types of ACP panels versus their fuel loading. As you can see the Vitracore G2 panel has 0% combustible core content. Fairview and its partners take the safety of their products and public safety extremely seriously. Vitracore G2 has undergone the highest level of testing available. We believe that it is the best and safest aluminium product on the market and this assurance is backed by verifiable testing data. More information on Vitracore G2 can be found on the product page of our website.